Dead Man's Hand Rogue Tex Miller - Special Character and Cards. Tex Miller has been an outlaw and a ranger and even a member of the Navajo trible before his path led to Dead Man's Hand. He has a strong sense of justice and equality and this has been known to get him on the wrong side of some powerful people! 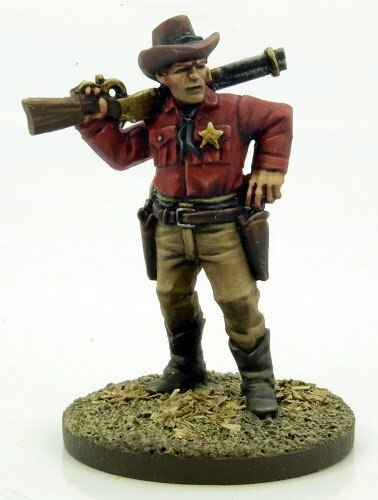 Tex is ian expert with all weapons and a master of hand-to-hand combat able to incapacitate his enemies using non-lethal means, though he is not averse to gunning them down when necessary. Tex recently endeared himself to Reverend Samuel Johnson after rescuing his friend Albert Miller's (no relation) son, young Jacob Miller, from so-called road bandits.